Our company founders, Forbes and Ursula Carlile, are world renowned Olympic swim coaches, pioneering sports scientists and educators. Their collective passion and dedication to excellence in swimming training and education has seen great recognition and awards over many years. A highlight includes Forbes’ induction into the International Swimming Hall of Fame in Florida. Both Forbes and Ursula are multiple Australian National team and Olympic coaches. 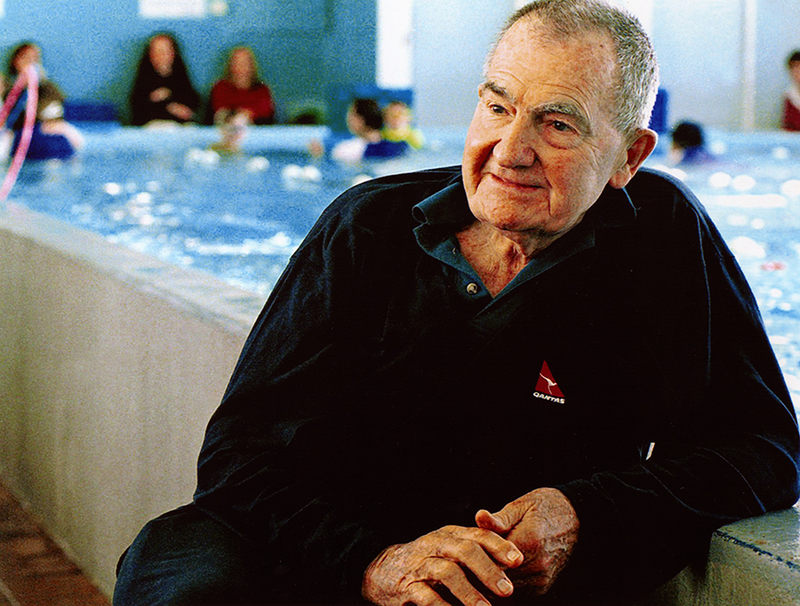 The honour of Life Membership of Swimming Australia has been bestowed on both of them, and Forbes was also a Patron of the Union of Old Swimmers and a Vice Patron of Swimming NSW. Over the past 20 years, in collaboration with Forbes and Ursula, Carlile Swimming Directors John Coutts and Richard Cahalan, both international swimming competitors, have developed what is today recognised as the leading swim school program in Australia. Through extensive research and consulting in Australia, the USA, Mexico, Scandinavia, Hong Kong, Japan, China and New Zealand, John and Richard have brought together world’s best practice into the Carlile Swimming philosophy and facility design to deliver the highest quality programs consistently to our customers. Traditionally, squad programs around the world operate at significant financial losses. Similarly, coaching elite competitive swimmers and surf athletes in an operation such as ours, is an unprofitable venture. Small coach:swimmer ratios, high coach salaries, space limitations and affordability for participants restrict the ability to generate high income from this type of program and often requires a subsidy by either government or swim school revenue. Carlile Swimming is in a position to bear a loss in this endeavour because competitive swimming has been a lifelong passion of Forbes and Ursula Carlile, and they achieve considerable financial success through their learn to swim businesses. Losses incurred by coaching our squad swimmers are supported by profits generated from the learn to swim business at other locations, which are then diverted through the Carlile Foundation. Through the Carlile Foundation, they have generously donated substantial sums of money to the Swimming Clubs affiliated with the Carlile Swimming group; Carlile Swimming Team, Ryde Carlile, Cherrybrook Carlile and the Narrabeen Carlile Swimming Club, to develop young swimmers in our programs.